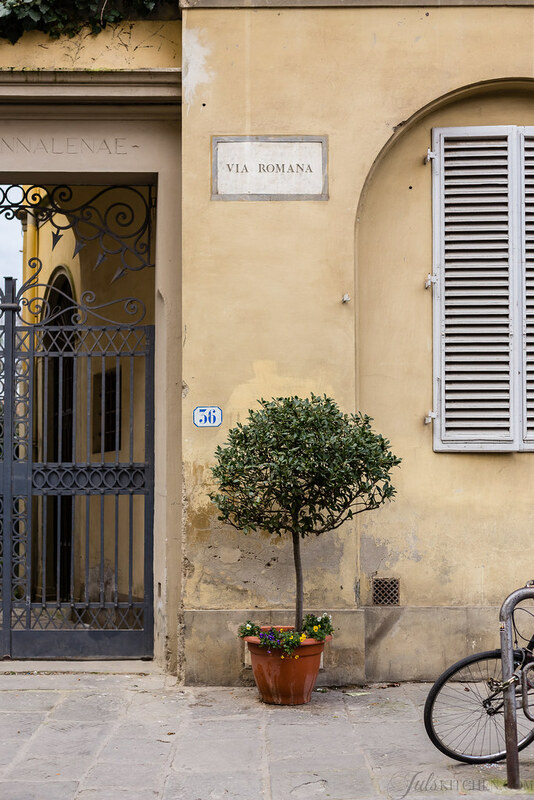 On February I abandoned my country life for a few weeks and moved to Florence with Tommaso to teach at the Florence University of the Arts. It was my third time teaching an Interpersonal Communication course, something which puts me to test every time. I have to stand up in front of a class of American students and my task is to interest them, inspire them, or at least keep them awake. 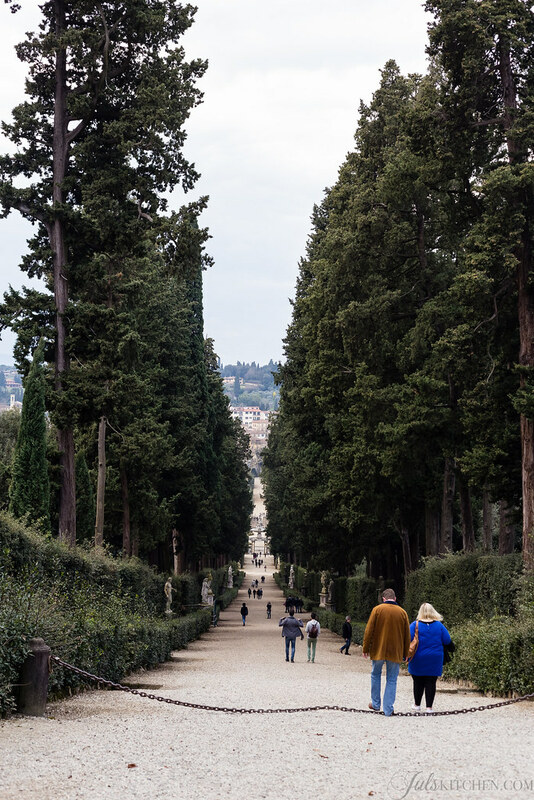 I enjoyed sushi and Chinese takeaways, one of the few luxuries that I’ll be missing back in the countryside, walks to reach my class along the main avenues of Florence, visits to the Sant’Ambrogio market but, most of all, a shared daily life with him, which frankly was the best part of the whole experience. Having a place to stay in Florence gave me the good excuse to take a baking course. I experienced again the warming satisfaction to carve out a few hours just for me to learn something new, one of the best investments in the life of a human being. It was also the chance to meet a bunch of extraordinary and passionate normal people and a professional baker, a teacher able to excite and inspire, open and competent. The course was all about baking with fresh brewer’s yeast, and this was so liberating. We obviously talked about sourdough starter, because that was our main curiosity. We were so lucky to bring back home a precious portion of a starter with a pedigree, too. I’ve been fascinated by sourdough starter for some years now. My starter just turned one year old: we’re growing together, trying to understand each other as much as possibile. I keep on trying, learning from my mistakes: hydration, flour, rising time… Sourdough starter has a unique aroma and complexity, a history and a romantic charm, it is perfectly manageable when we have practice and skills to do it. But even the fresh brewer’s yeast, often so despised and placed without reason in the background, can give us tempting aromas and is easy to digest: just dose it properly and give it time to mature. Using brewer’s yeast is not wrong, it’s not to be pointed out as lazy or listless. In these three weeks in Florence I left the starter with my mum, playing with brewer’s yeast in our tiny studio in Florence. Without a mixer, without proper tools and with a not so reliable electric oven I had what I needed: yeast and a good flour to make brioche bread, focacce, pizza and schiacciata, even sweet chocolate buns. I invited friends over, and they were delighted to have dinner with my assignments from the class. This course opened my mind in so many ways. The sourdough starter is perhaps the best method to get a quality bread, provided that you also use good flour and have enough time. Brewer’s yeast, on the other side, if properly managed can free us from many time constraints and give us equally digestible and fragrant products. My mum has always had little confidence with sourdough starter, but then she borrowed my course handouts and now, despite the short time that remains after a day’s work, she manages to make brioche for breakfast for the whole family for the whole week. I went to Florence to teach something, now I come back home having learnt a lot. You learn spending hours in the kitchen with similar people lit by the same passion, you learn watching a professional baker shaping the bread so easily as my niece with Play doh, you learn tasting bread and pizza after the class and exchanging notes and pictures with your classmates. It is not mandatory to choose permanently and drastically one way or the other – brewer’s yeast or sourdough: as long as you make bread with passion, patience and good flour you’re making it right. Speaking about today’s recipe, this is what I made in a cold rainy afternoon, sweet chocolate buns. 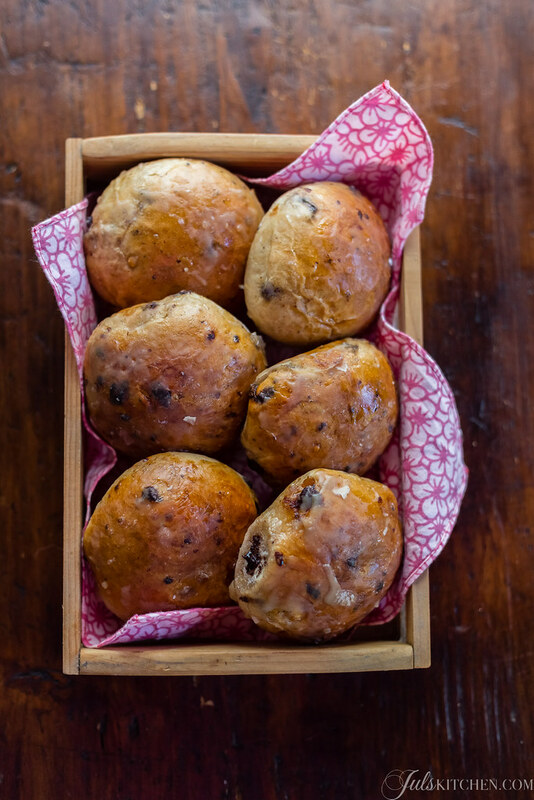 These little buns are a soothing way to start the day, the dark chocolate makes them tempting and decadent, while the dried apricots add a fruity note that calls for a few tablespoons of a good apricot jam, spread on the slightly warmed slices. 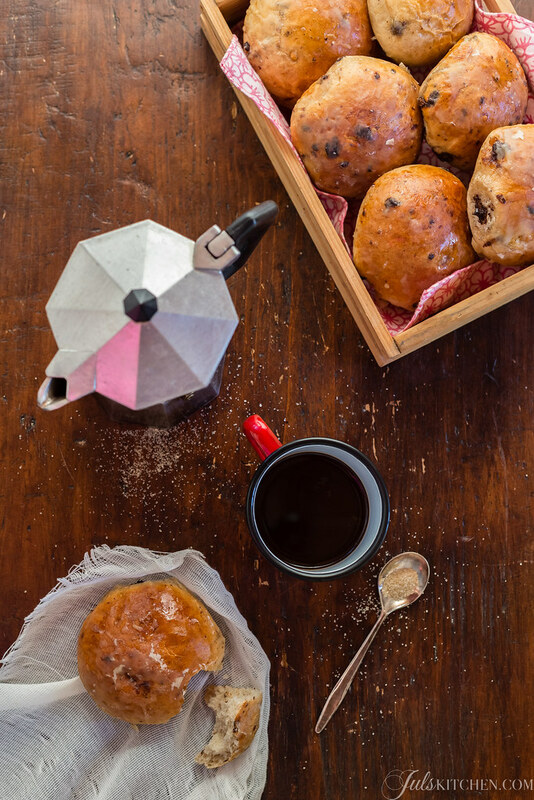 The buns team up nicely with a mug of Early grey or with a strong coffee, a homemade breakfast for the whole week. 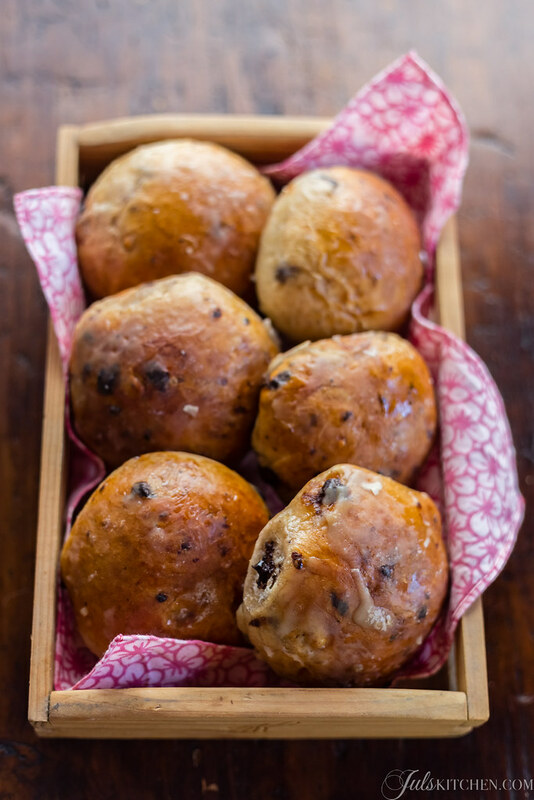 I am not supposed to say this, but these buns are at their best when they are still barely warm, taken out of the oven, eaten in the kitchen when no one sees you, ripping off bit by bit from the bun, licking the melting chocolate from your fingers and smelling deeply their fruity fragrance. How about baking the buns for next weekend? The day before: make the first dough. In a medium bowl dissolve the fresh brewer's yeast with the lukewarm water and mix in the flour until incorporated. Cover the bowl with cling film and leave to mature at room temperature for 20 - 24 hours. The same day: make the buns. Dissolve the fresh brewer's yeast with half of the lukewarm water. Add the first dough, the flour and the sugar and mix with the dough hook for about 5 minutes, then add the salt and keep kneading adding the water slowly until the dough is smooth and not sticking. You can also do it by hand with a lot of patience. It is a long job, but completely doable. Add the chopped butter and knead with the dough hook at low speed for about ten minutes, until the mixture has completely absorbed the butter, has become smooth, not too sticky and opaque. In the last 5 minutes add the chopped chocolate and coarsely diced dried apricots and knead just enough to incorporate them. Transfer the dough in a greased bowl and let it relax for about 15 minutes in a warm place, as in the closed oven with the little light on. After this much required rest you can shape the buns, dividing the dough into pieces of 80 g each. Now you can shape the buns following the links I provided below the recipe. It's not hard, you just need some practice. 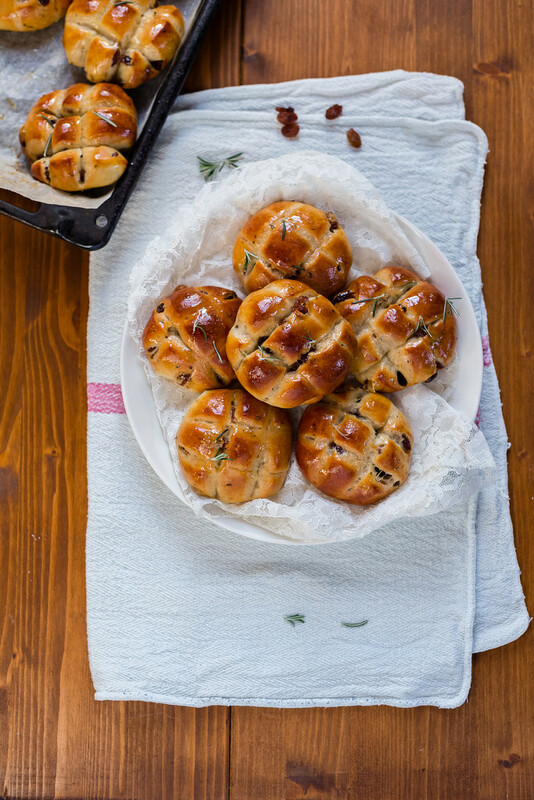 Arrange the round buns in two baking sheets lined with parchment paper, allowing them enough space to rise. Beat an egg with a tablespoon of water and brush gently each bun. Let them rise again for about 25 minutes, then brush again with the egg wash.
Preheat oven to 180°C and bake the buns for about 15-20 minutes, until they are golden and well puffed. Meanwhile, prepare the sugar syrup: boil for about 10 minutes over medium heat the water with the sugar and the open and scraped vanilla bean. They are irresistible eaten just out of the oven, when they are still warm and the chocolate is soft, but they will keep well for 5-6 days into a tin box or in a Ziploc bag. During our class we learnt how to shape perfectly round balls of dough, the method is known as pirlatura in Italian. Check these videos from Martina and Arianna to learn how to do it. 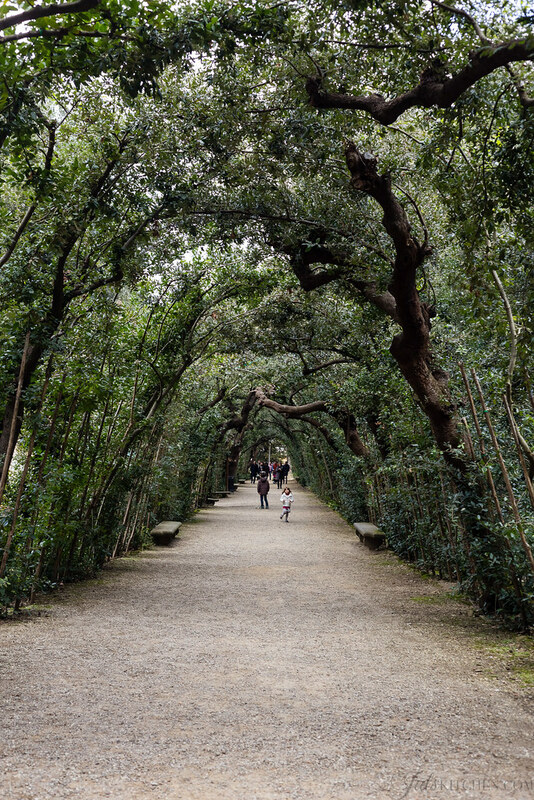 In my Florence photos you can see the Boboli Gardens. 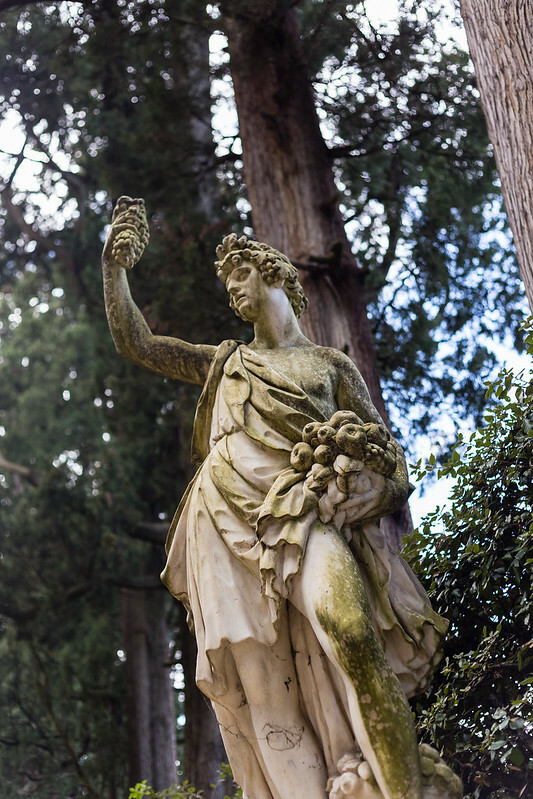 They are just behind Palazzo Pitti and were originally designed for the Medici and are one of the earliest examples of the Italian Garden which later inspired those of many European courts. 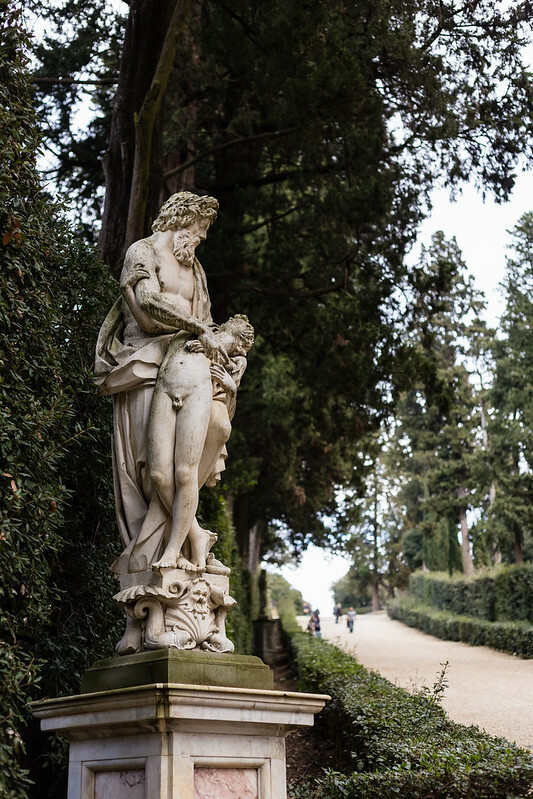 It is a park full of trails, statues and unforgettable views of Florence, if you have a bit of time in your next visit to the Tuscan capital I suggest you to reserve a few hours to the Boboli Gardens, to get away from the crowds and lose yourself in an outdoor Renaissance masterpiece. Lovely buns. I bet they taste wonderful. I love making bread. It is such a relaxing activity. You are so right! Recently my stand mixer broke down, so I have to knead bread in the old way, and I discovered I enjoy the whole process even more, it’s more relaxing! Thank you for all your recipes. I have a question as regards to this recipe: what do you mean by “tender wheat flour”? Is it whole wheat, or just ordinary flour and you called it tender just in opposition with the other type, strong, that is used for the first dough? Liliana you got it right! It is just ordinary flour, which is actually tender wheat flour, I just wanted to be extra specific! Great discussion and even more beautiful pictures. I am on the search for brewer’s yeast now. I would love one of these rolls with my cup of tea. Ciao Debra, have you found the fresh brewer’s yeast? I was curious to know if you tried them! I really enjoyed reading this post! Fantastic pictures too! 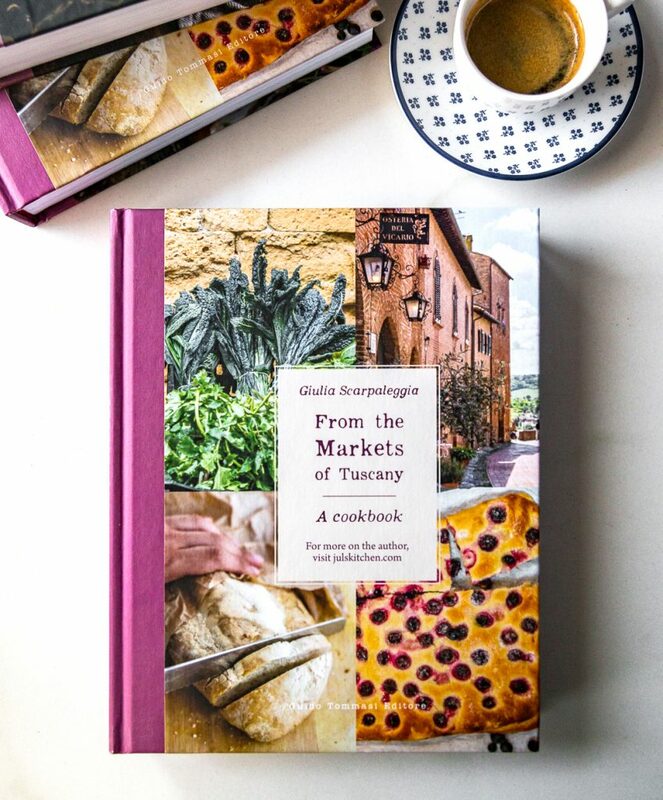 Can you please tell me what you mean by ‘strong wheat flour 250w’ I live in italy so would love to know which flour you are referring to–these buns look amazing and I plan on incorporating them into our breakfasts. Ciao Paula, you can use bread flour, or farina di Manitoba, something with a higher percentage of proteins to sustain a long rising! 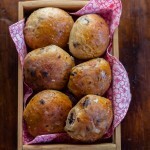 I am going try the hot cross buns for Easter.